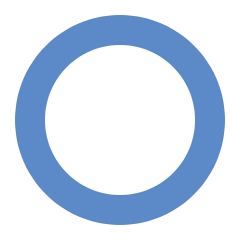 This is the international symbol of diabetes. There are 3 types of diabetes (see below) and the incidence of diabetes is increasing significantly in developed countries. It has been described in terms of “epidemic” proportions in the US and since most TEFL teachers are from the US, this means the number of TEFL teachers likely to suffer from diabetes is increasing. This article looks at dealing with diabetes whilst living and working abroad, typically as a TEFL teacher. Generally speaking, however, having diabetes should not put anyone off wanting to find work abroad and teach English in different countries around the world. Sometimes – but not always – having a medical checkup is part of the visa or residence permit process. The check will often cover problems such as sexually transmitted or communicable diseases but may well include diabetes. Occasionally there have been cases where a diabetic teacher has had their visa refused on these grounds but foreign teachers with diabetes who are otherwise healthy will usually pass the exam without a problem. Before heading overseas you should visit your local GP or family doctor to stock up on medication. They will usually issue a maximum of 3-6 months supply. It is useful to get as much as you can so you do not run short while you’re still settling into your new country. Of course take your prescription with you both in case you are stopped and asked about the medication at airport security but also so you can pick up new medication later on. In most countries this won’t be a problem as diabetes is well documented and common throughout the world and in fact medication is likely to be much cheaper than at home. One teacher reported that medication costs in South Korea were 15% of what she had been paying in the US. Note that if you do buy medication abroad you obviously go through a reliable local doctor and try to get something as similar as possible to the medication you have taken at home. Also check the dosages, foreign packing may vary in this regard! Most TEFL teachers will have emergency health cover. However, diabetes will often be considered a pre-existing medical condition and if you arrange private medical insurance (either yourself or via the school) you need to tell your insurance company that you have diabetes. They will often cover you for an extra premium. See the links below for more on this. Traveling can be stressful to some people and raise blood pressure so it is a good idea to monitor yourself carefully while you are traveling to your new country and then when you first arrive. Whilst traveling keep your medication with you at all times so you have easy access to it should it be needed. Insulin needs to be kept at moderate temperatures, of course. Some insulin manufacturers say it cannot be x-rayed however this should not be a problem for quick checks during security clearance at airports, etc. If you prefer, you can suggest to the staff that it be visually examined and of course have your prescription with you at all times. On this point bear in mind that the liquid allowance should not apply to medications; the TSA, for example, specifically state that diabetes supplies & equipment are allowed on flights once they have been screen. Remember to pack your medications in a separate clear, sealable bag if you are going by air as bags that are placed in your carry on luggage need to be removed and separated from your other belongings for screening. Keep a quick acting source of glucose to treat low blood glucose as well as an easy to carry snack such as a nutrition bar. Type 1 diabetes is when the body doesn’t produce insulin. It is mostly developed by teenagers or younger adults. It is fairly uncommon (about 10% of diabetics are Type 1) and those with Type 1 will need to take insulin injections for the rest of their lives; they may need a special diet and have to have regular checkups. Type 2 diabetes is when the body doesn’t produce enough insulin. About 90% of diabetics are Type 2 and overweight people are far more prone to developing Type 2 diabetes and it is also more commonly developed in older people. This kind of diabetes can often be controlled by a healthy diet and exercise however it usually gets progressively worse and will often result in having to take insulin (often in pill form) to control it. Type 3 diabetes occurs in pregnant women. Mostly it can be controlled through diet but it may need medication also. Infographic from the International Diabetes Federation. The bottom line is that if you are sensible, diabetes is no hindrance to a successful and enjoyable teaching time abroad. If you prepare your medication so that you have it available when you travel and then have enough for the initial couple of months or so while you settle in, then it is pretty straightforward. And do remember, one of the major causes of diabetes is a poor diet and many countries where you could end up teaching English have traditionally had a much better diet than the US or UK. Moving abroad to teach could be the best thing you do for your diabetes! Insurance‏‎ & Health Cover – for when you are living and teaching abroad. Air Travel & Diabetes – from the American Diabetes Association. Travelling with Diabetes – from the British NHS.